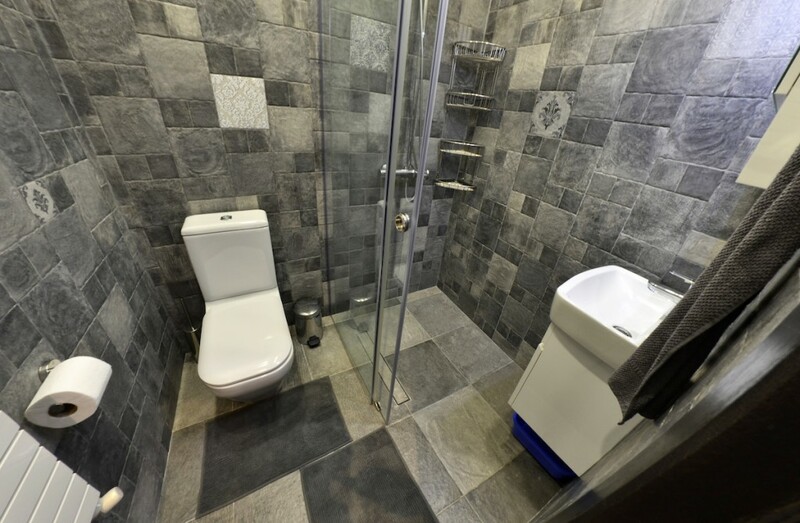 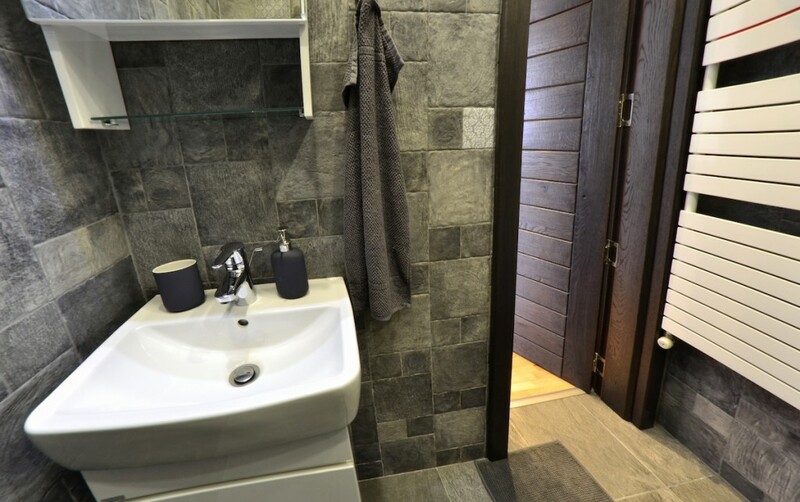 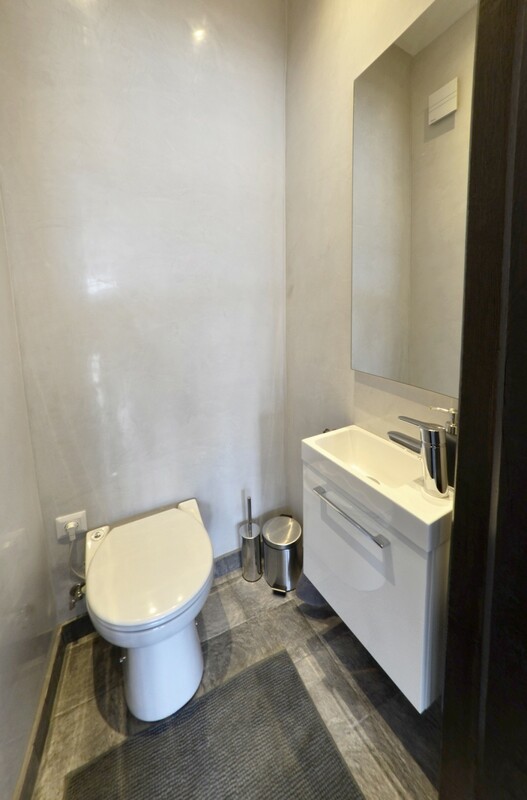 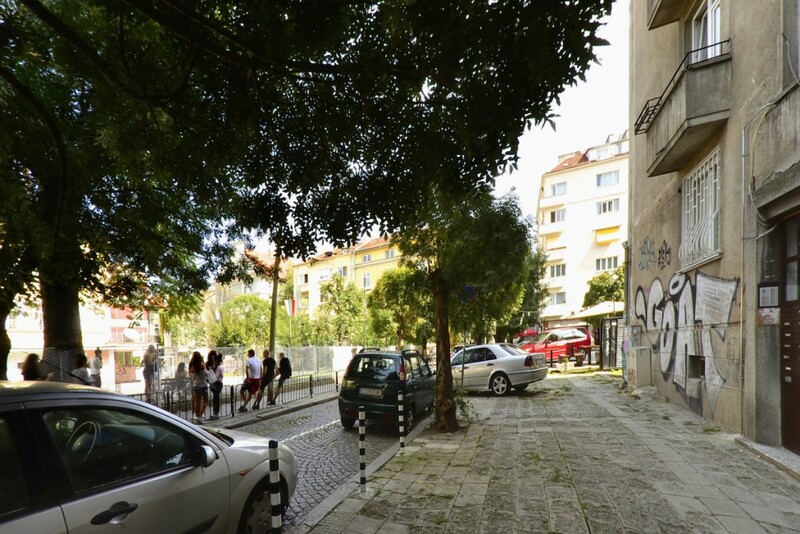 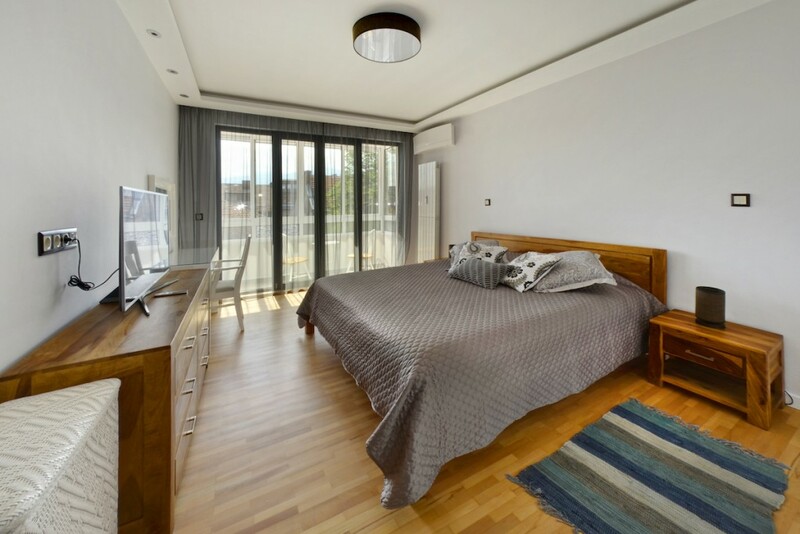 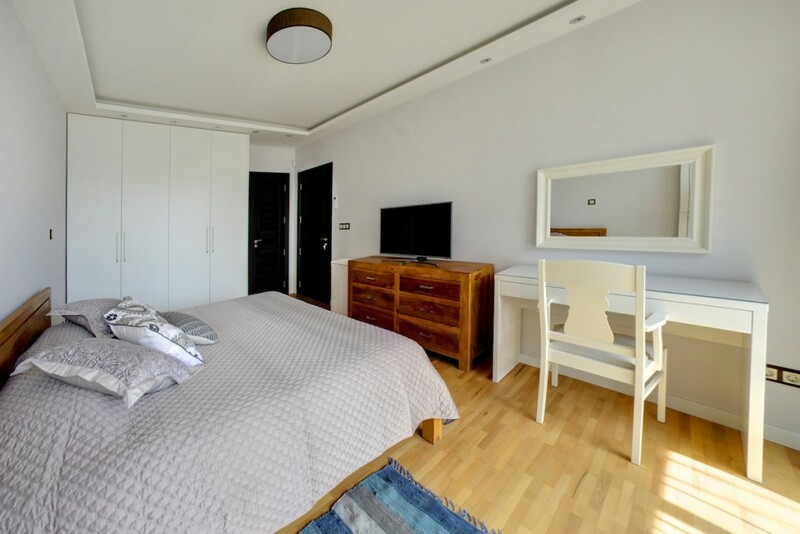 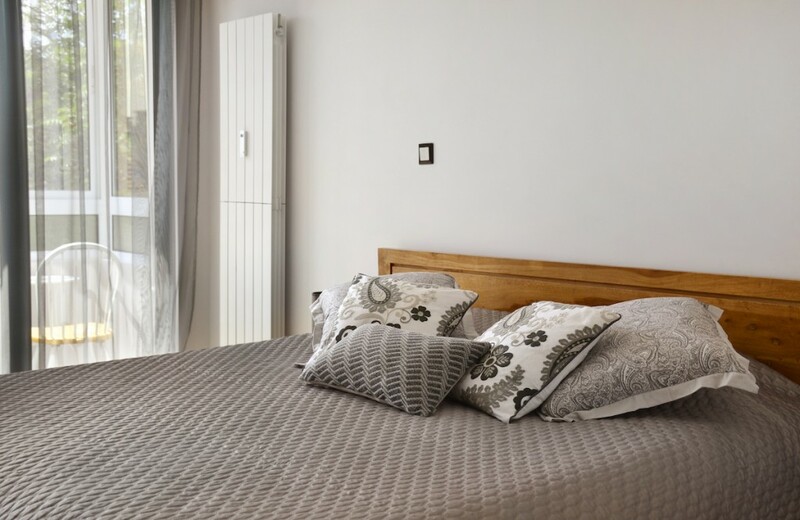 Description: We are offering a newly renovated property in the heart of Sofia, it is located in a quiet place minutes away from Vitosha blvd, National Palace of Culture and Slaveikov square. 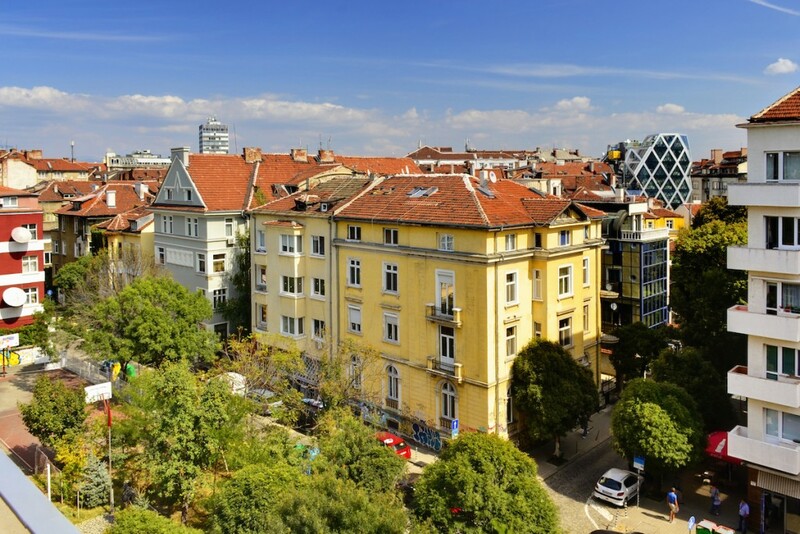 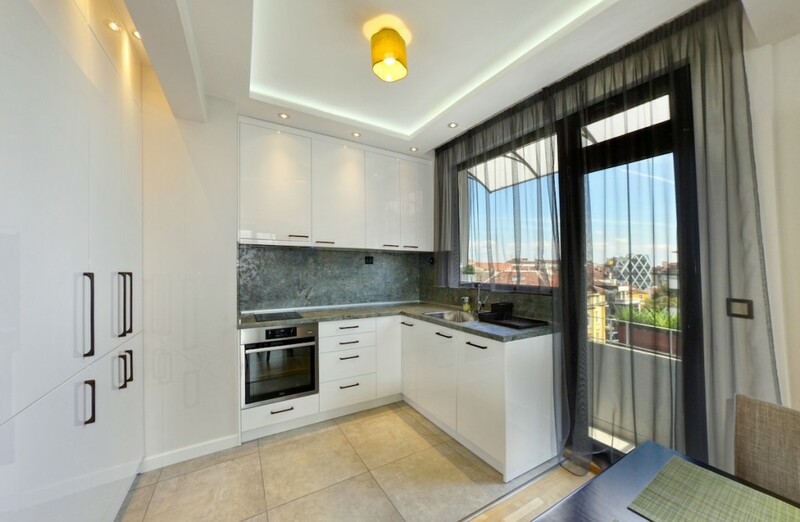 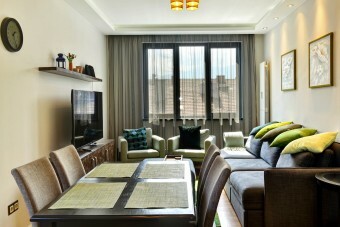 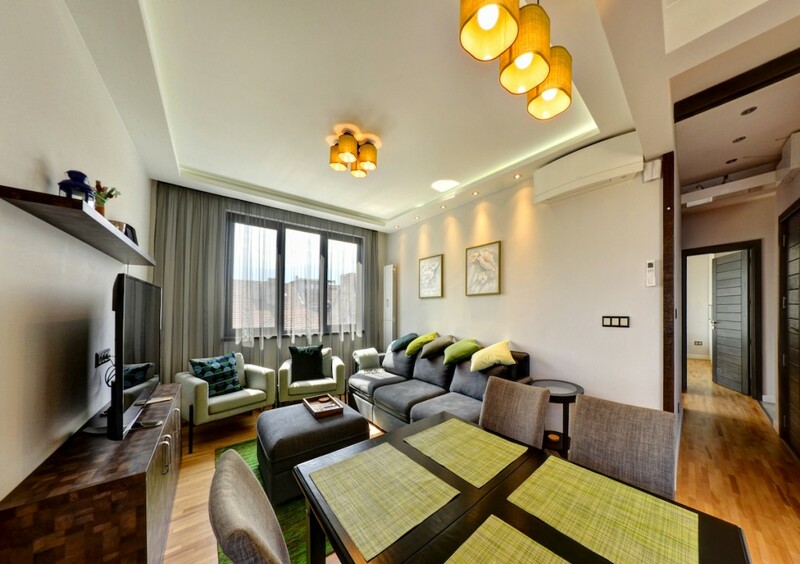 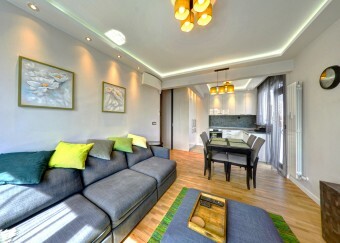 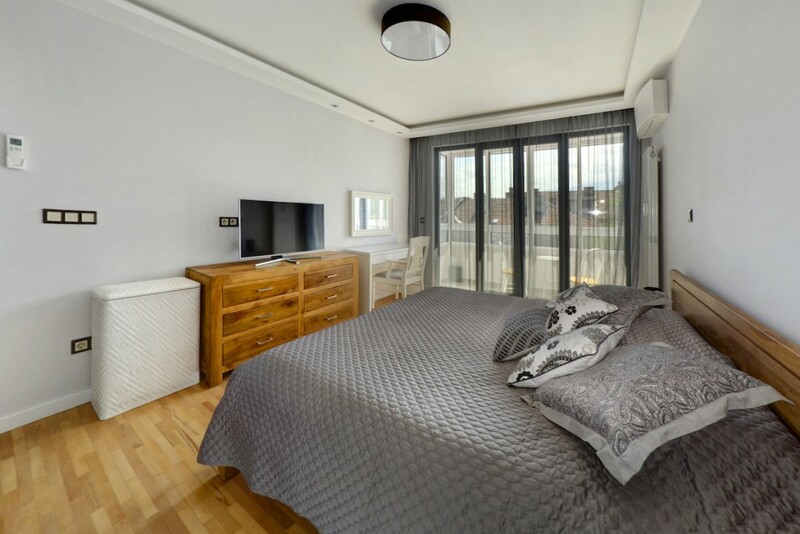 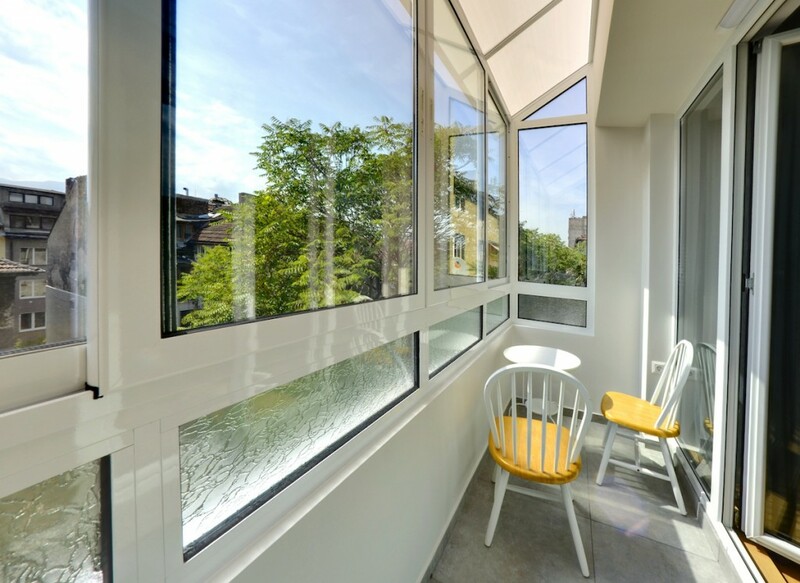 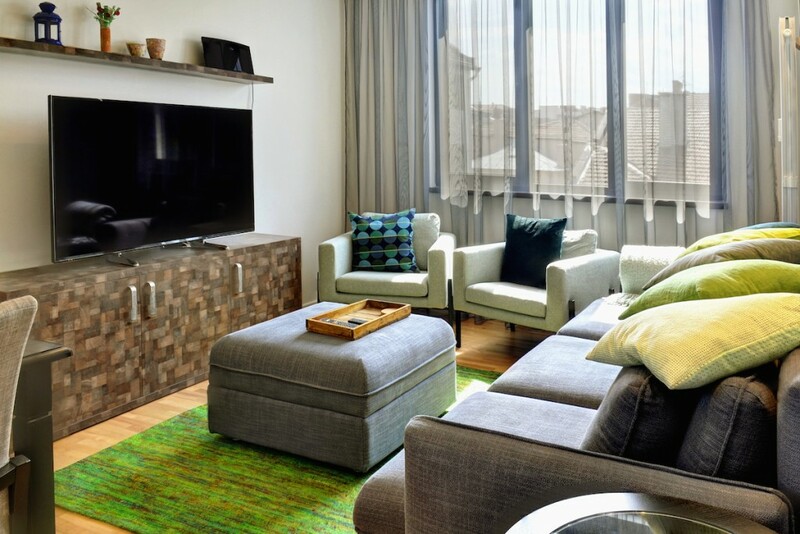 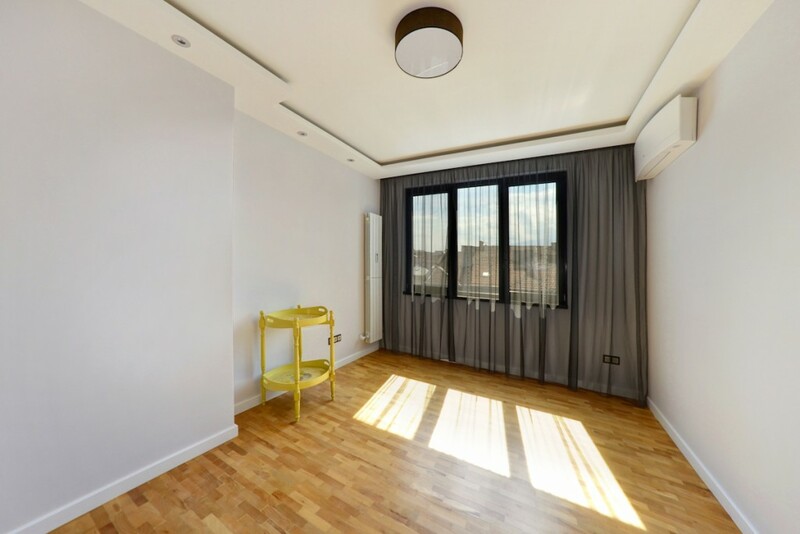 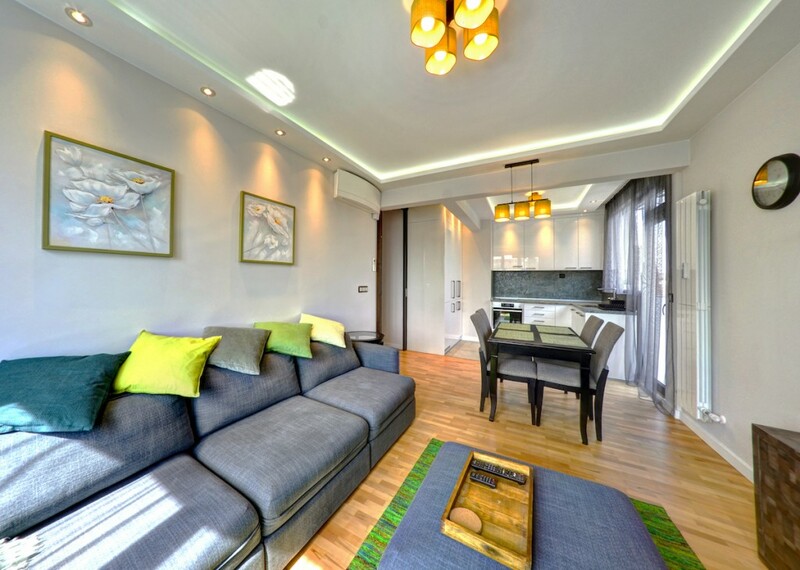 Unique by design, bright and modern, the apartment is on Petar Parchevich street, with Southeast exposure, overviewing the European Parliament building and Vitosha mountain. 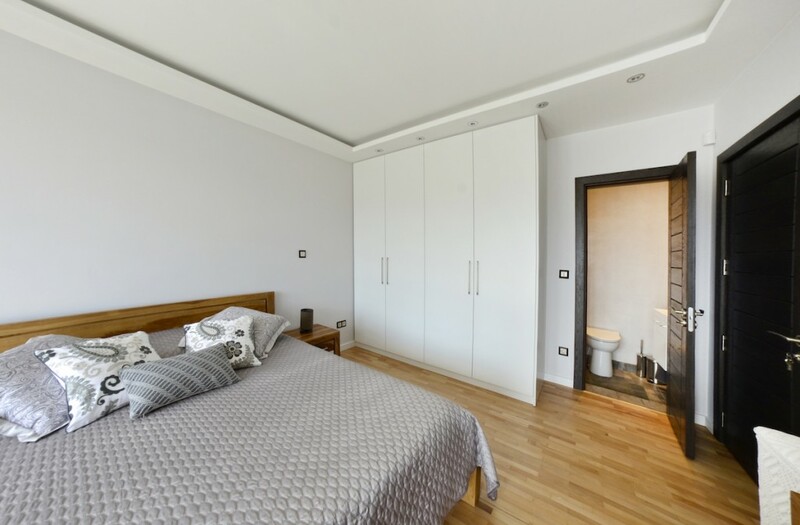 Fully furnished and offering the most fashionable tendencies for luxury way of living, the property consists of open kitchen, living and dining room, bedroom, master bedroom with half a bath and separate full bathroom. 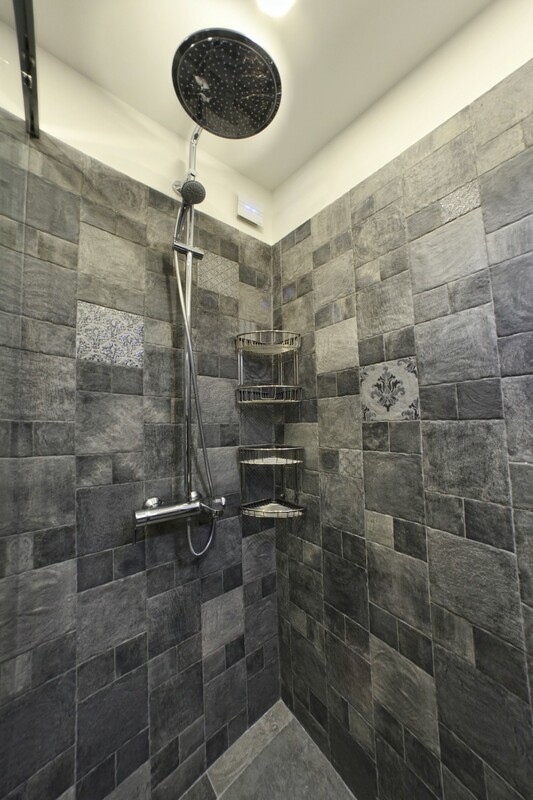 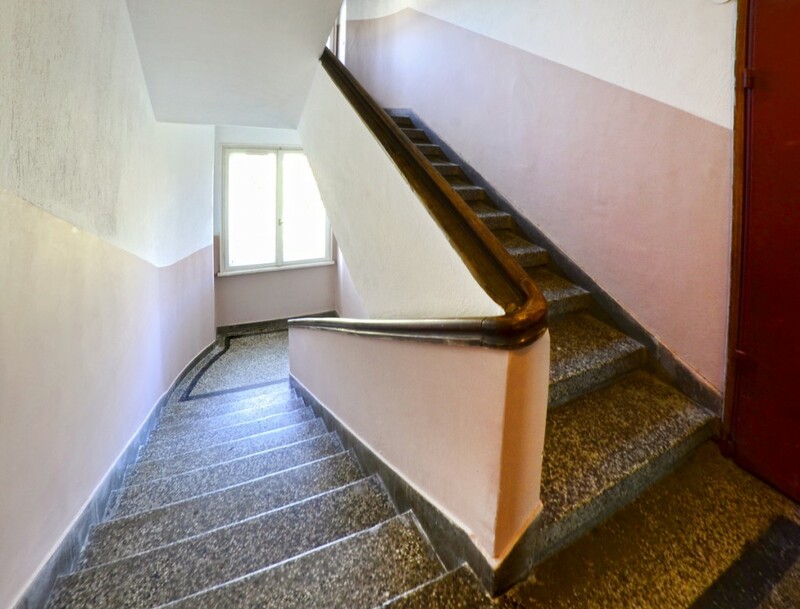 The building has well maintained common areas and new fully functioning elevator. High class AEG electric appliances, high class air conditioners Daikin Emura in every room, highly protected security entrance door Mottura, SOT with panic button, handmade designer interior oak doors, hard wood beech floors and master bedroom with us king size mattress are the few things that will contribute to the comfort and lifestyle of the future tenants. 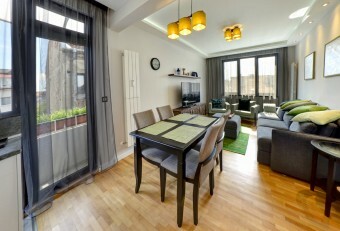 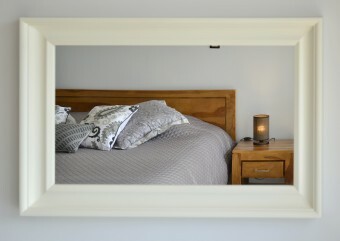 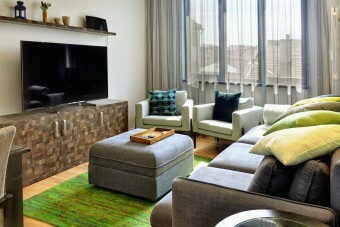 Use the opportunity to be the first one to rent this beautiful apartment.